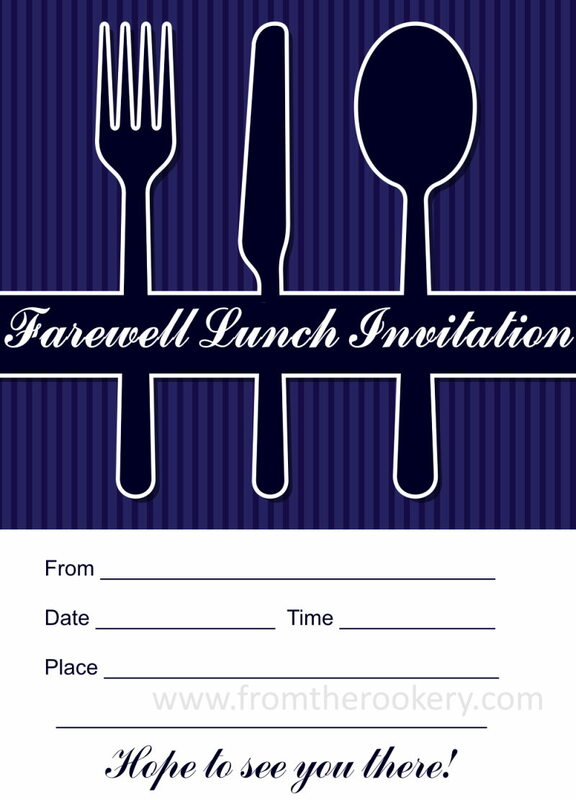 Are you looking for a farewell lunch invitation? 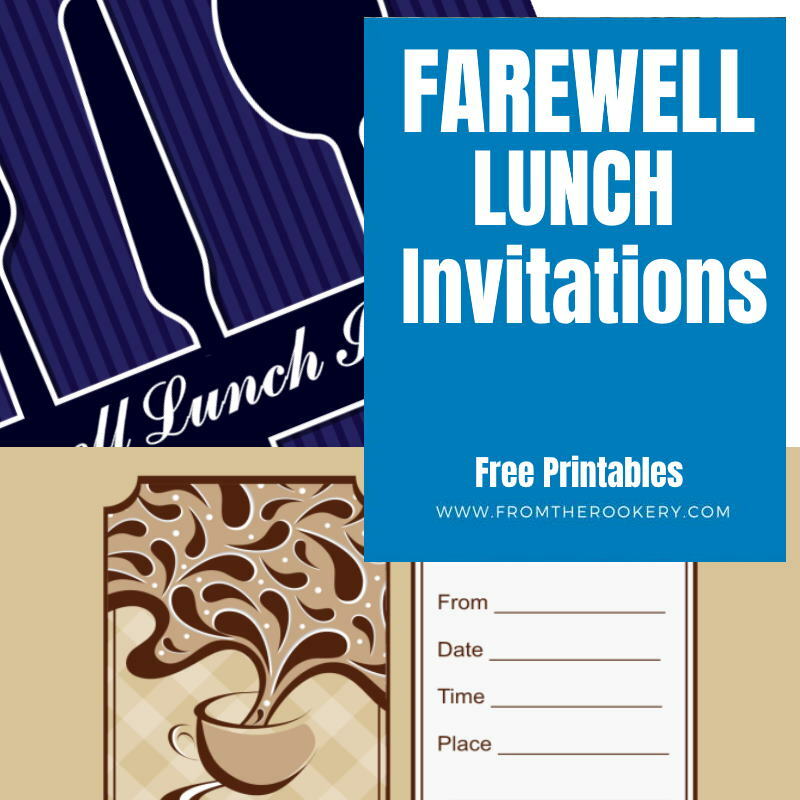 These free printable luncheon invites are the perfect way to invite your colleagues, staff or friends to come say good-bye. 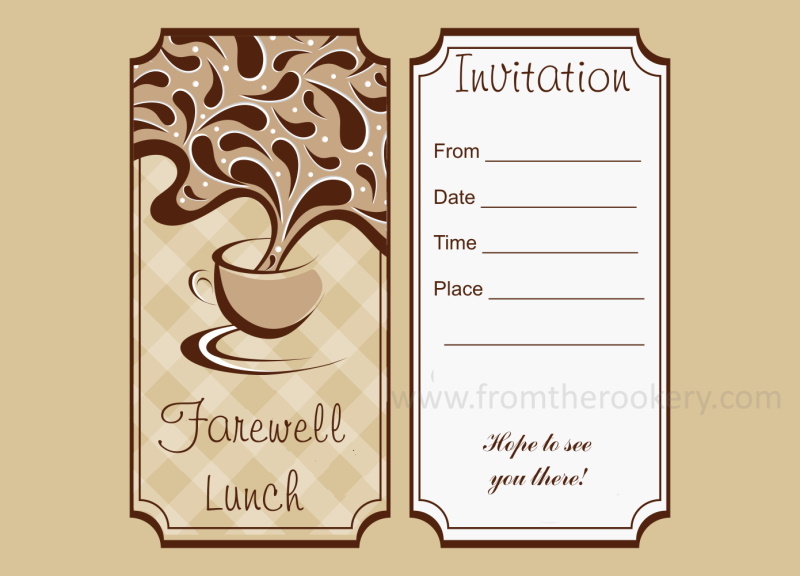 Leaving lunches are becoming a popular way to say good-bye. Especially to the people in your office. 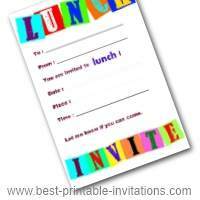 You could email them an invite of course - but emails get lost or ignored. 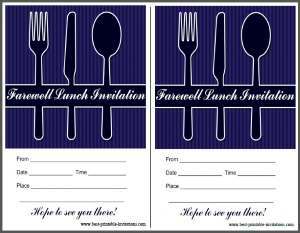 A printed invite is a stylish way to help people remember to come! 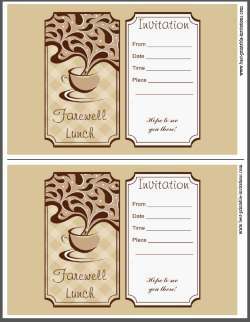 I have design two stylish invitations for you to choose from. Both print two to a page for faster printing. 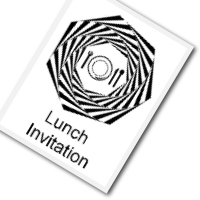 First up is a very stylish invitation. A striking purple and black design. It is fairly heavy on the ink - you might be better not to use the office printer unless you want to leave under a cloud! 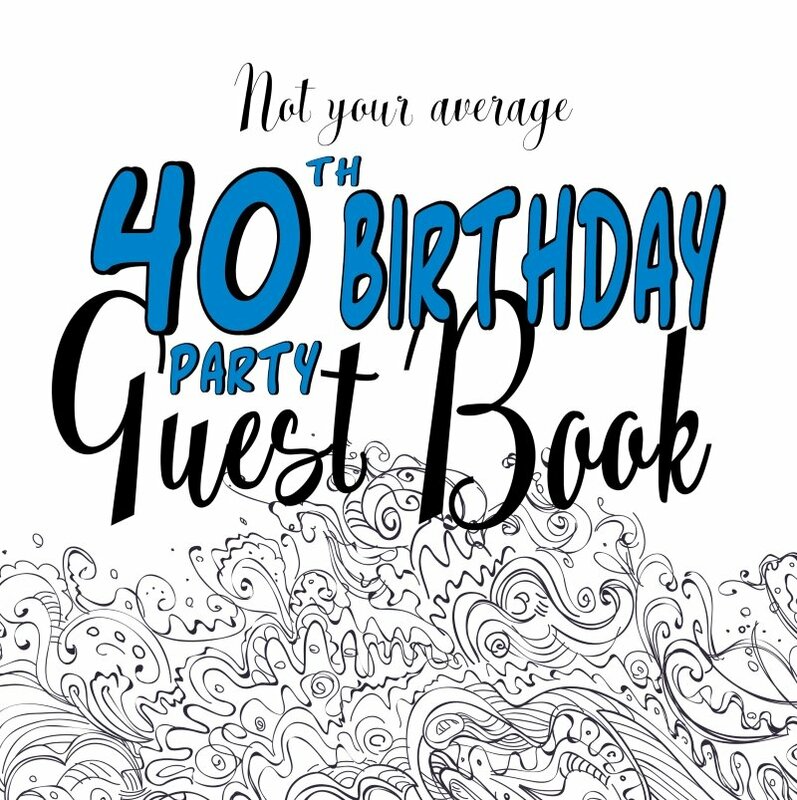 The second invite on this page is more informal - and a little less ink greedy! 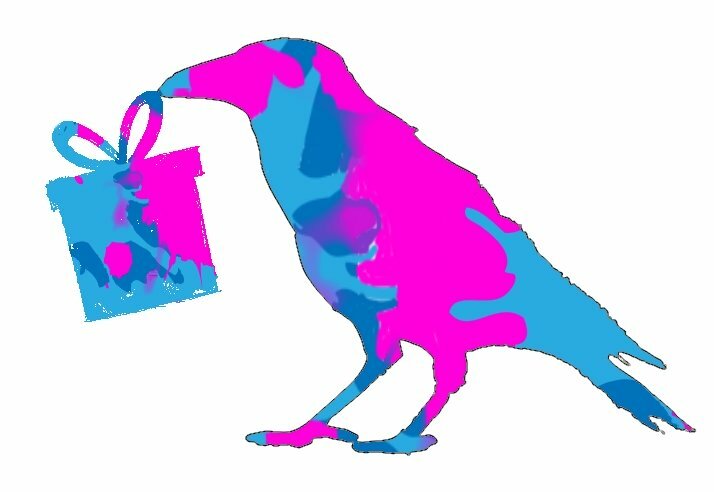 I love how this one looks like a menu. Featuring a stylish coffee cup it would be good for local venues or bars. 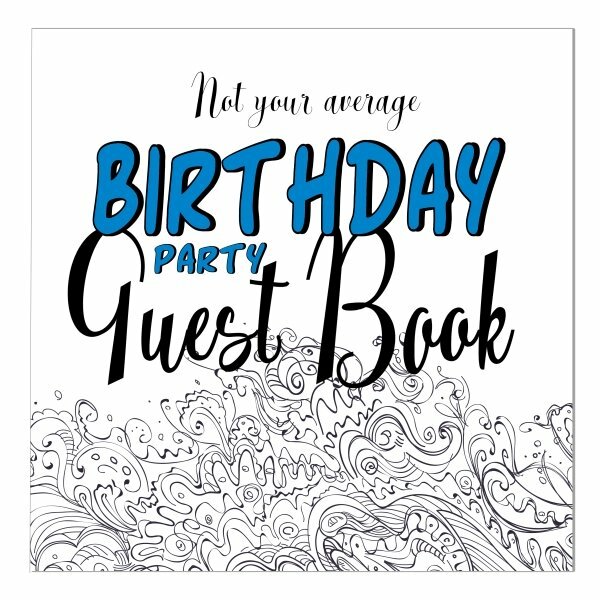 Great for staff or colleagues. 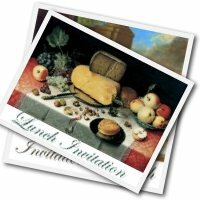 I hope you like these two invites. Not quite what you had in mind? 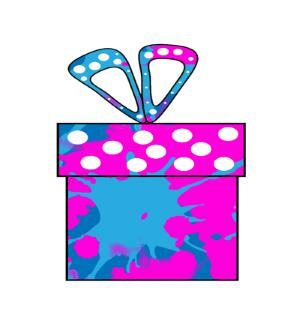 I have more on this site.